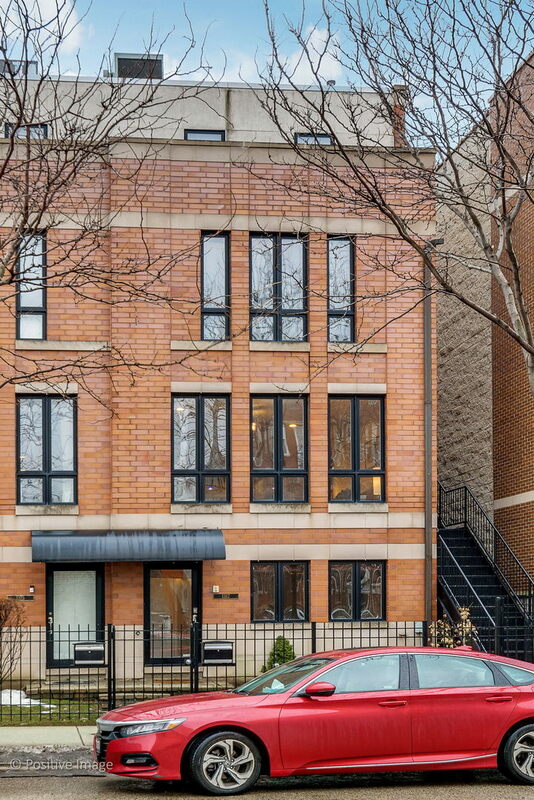 RARE ALL BRICK, END CORNER UNIT TOWNHOME steps from the Southport Corridor! Located in sought after Burley District, lovely 4 story home features a WIDE OPEN floor plan. KEY features include hardwood flooring on main level, SS CHEF'S kitchen appliances, granite countertops, freshly resurfaced white cabinets, eat-in kitchen island, & separate dining space. FABULOUS living room area has floor to ceiling windows, perfect lighting, and gas vented fireplace. Half bath conveniently located on first level for guests, along with private grilling deck off kitchen! 3rd level master bedroom includes RELAXING en-suite bath w/ dual vanity, separate walk-in shower, & soaking tub. LARGE 2nd bed & 2nd full bath. 4th level master ensuite has private bath, HUGE walk -in closet, & access to PRIVATE roof deck! Home comes w/ attached 2 car heated garage & own private entrance! Walking distance to the Belmont Redline, Southport Brownline, dining, local shopping, and fun nightlife! Set up your showing today! Property information last modified by seller on Thursday, February 14, 2019, 04:08 PM CST. Information Deemed Reliable But Not Guaranteed. Unauthorized duplication, use, or linkage is prohibited. The information on this web site is for personal, non-commercial use and may not be used for any purpose other than to identify prospective properties consumers may be interested in purchasing. Monthly Payment Calculator results are for illustrative purposes only, not a financing opportunity; calculations assume a 30-year fixed-rate mortgage and do not include closing and other costs. Property Tax on NEW properties is estimated at 1.5% of Listing Price for payment calculation purposes; actual value may be higher or lower.